Glendyne slate is produced in the town of Saint Marc du Lac Long, Quebec, Canada. This blue/grey slate is available exclusively from Cembrit. 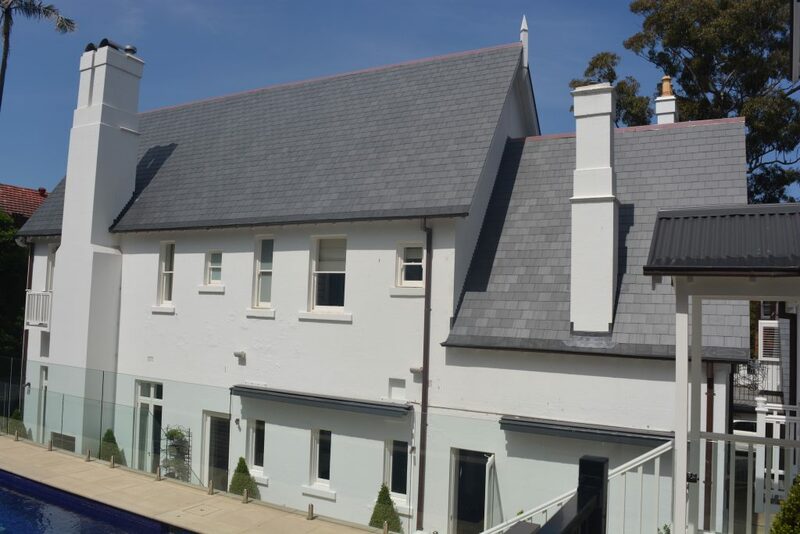 Glendyne slate has a fast growing reputation for quality due to the exceptional slate deposit and the combination of modern extraction technology with traditional finishing skills. Produced from deposits in the Ordovician era some 500 million years ago, this quarry was first opened by British slate quarrymen in the early part of the 20th century. Some roofs with Glendyne slate can still be seen today around the area of the quarries, some 90 years later. Re-opened by a local family, Glendyne is manufactured to the highest standards. Simply because Glendyne slate is the best on the market, the most reliable and is free from pyrite and metallic intrusions making it rustproof. Glendyne offers premium roofing slate resulting from strict controls and testing performed throughout the processing steps in order to meet customer needs and exceed their expectations. Glendyne slate is consistently flat and easy to install. No need to sort the pieces as Glendyne only delivers the best slates! Regarding appearance, its colour adds elegance and class to buildings as well as gardens and interior courts. Selecting Glendyne slates is ensuring the best results for your projects! In two thicknesses, Glendyne Fours which are 4 to 5mm thick and available in the various sizes, Glendyne Fives which are 5 to 6 mm thick available in 508 x 254mm. Slate and halves are also available. Glendyne slate will withstand the most severe weather conditions. Is unaffected by sunlight, ultraviolet light and even acid rain. Laid correctly Glendyne slate will last the lifetime of the building. Is ideal for use on any major project including schools, city offices and prestige homes.